The Andrew and Judith Economos Charitable Foundation donation will support red tide mitigation research. 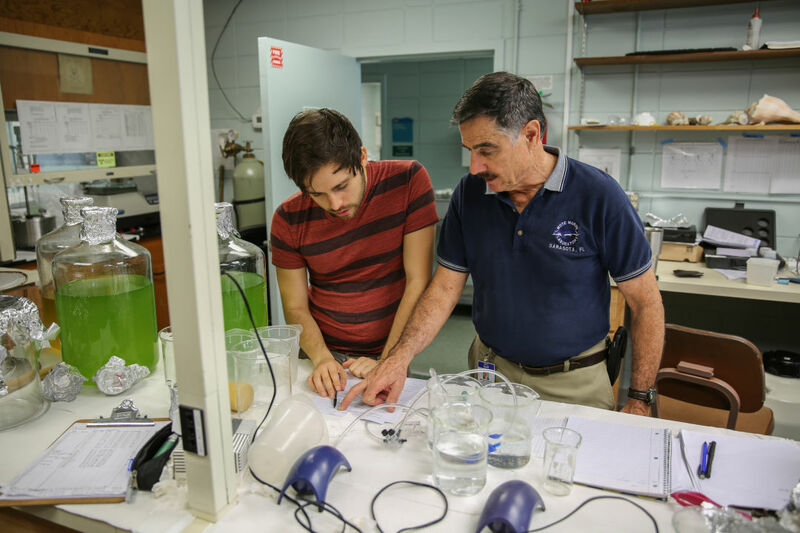 The Andrew and Judith Economos Charitable Foundation recently donated $1 million to Mote Marine Laboratory to launch a new Red Tide Institute that will research red tide and work on ways to control and mitigate it. Andrew Economos retired from a computing technology career in aerospace, business and broadcasting. He founded and led the successful broadcasting software company RCS, which he sold after 30 years. Since retiring, Economos has served on the boards of several science, technology and cultural institutions and he sponsors college scholarships. His wife, Judith Economos, is a poet and artist who taught at Princeton University.